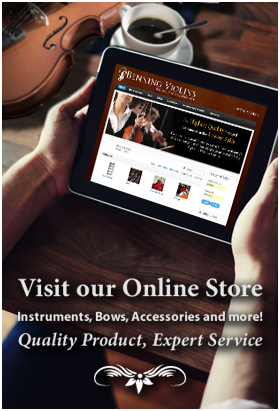 The craft of violinmaking has changed very little in the 300 years since the time of Antonius Stradivarius and the Cremonese masters. In our current era of factory machinery and mass produced products, the expression and preservation of master musical instruments continues to rely on the delicate handiwork of master violinmakers. While stringed instruments are now also being made in assembly line-type factories, the attention to detail and quality in the tradition of handcrafted fine violins remains unrivaled both in beauty and sound. As a toolmaker, the violinmaker (also called a “luthier”) must make and maintain the condition of his many specialized tools. Peg reamers are used to make tapered holes for the pegs. Bending irons and straps are used to form the linings and ribs. 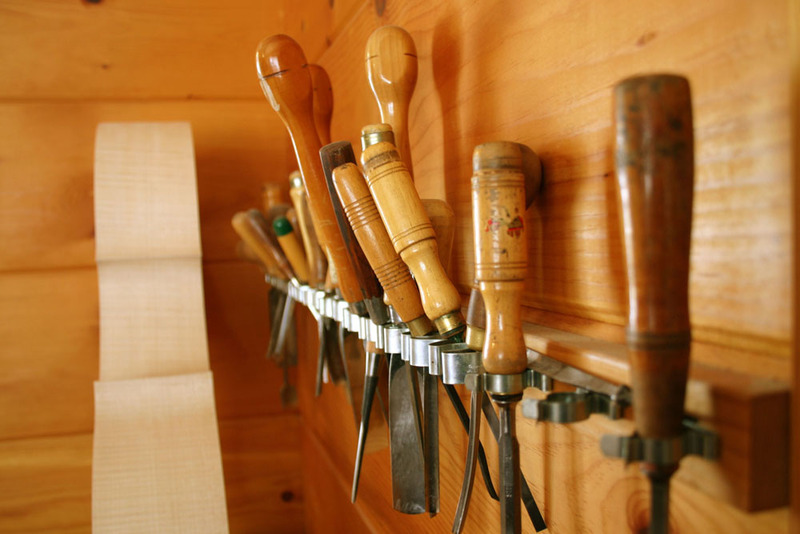 A variety of specialized chisels and gouges are used to remove material and to give shape to the wood. A purfling groove maker, for example, is needed to score the wood on the top and back plates where the purfling will eventually be inlaid. Hand planes designed for luthiers are small and easy to manipulate with the hand. Some are slightly curved to dig channels and cavities into the instrument’s body. Many knives are used, and the highly developed knife handiwork of violinmakers contributes to the mystery and awe surrounding an instrument maker’s craft. Because most of the work is done with precision down to a tenth of a millimeter, the production of a single master-crafted instrument can take several months. Modern planers and band saws can be used to save time in milling a rough piece of lumber. Some modern tools like dental mirrors may be used to save time; however, much of the craft still depends on specialized tools one cannot purchase in a neighborhood hardware store. Many tools are even the same ones used by old masters of 17th-Century Italy, as they have been handed down from fathers to sons and makers to their apprentices.